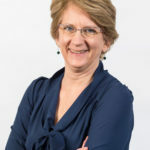 Professor Loveland received her undergraduate and PhD degrees at Duke University in the United States, studying the molecular basis of mammalian fertilization. Her laboratory investigates the molecular and cellular mechanisms that underpin mammalian testis development and sperm production. The team’s objective is to identify and characterise the molecular switches that regulate cell fate decisions in sperm precursor cells (germ cells) and in the somatic cells that support them. Specific research focus areas are: Signalling by activin/ TGFβ superfamily, Wnt and Hedgehog pathways, growth factor/hormone signalling cross-talk, and the contribution of regulated nuclear transport molecules to cellular development and stress responses. 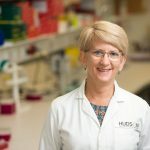 She is a National Health and Medical Research Council of Australia Senior Research Fellow (since 2000) and is a Fellow of the Society for the Study of Reproduction. She received the American Society for Andrology Young Andrologist Award in 2004 and the Monash University Vice Chancellor’s Award for Excellence in Postgraduate Supervision in 2010. In 2014 she was granted an Honorary Liebig Professorship from the Justus-Liebig University in Giessen, Germany for her joint role in leading the establishment of an International PhD Research Training Group in the Pathogenesis of Male Reproduction (2013-ongoing). 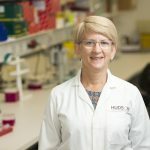 In May 2018 Professor Loveland was awarded the Society for the Study of Reproduction (SSR) Fuller W. Bazer International Scientist Award, which recognises an outstanding international scientist who has demonstrated excellence in research and graduate education at an institution outside of North America, and who demonstrates outstanding potential for leading and directing scientific research overseas. Prof Loveland’s professional roles for her discipline include Society for Reproductive Biology: Program Chair, and Treasurer; American Society for Andrology: Annual Meeting Program co-Chair (2010), Founder and Chair of the Basic Science Workshop, President of Women in Andrology and Council member; Society for the Study of Reproduction: International Members Subcommittee Chair, Director, and Annual Meeting Program co-Chair (2017). 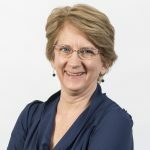 Prof Loveland has published over 130 peer-reviewed manuscripts, and she is currently serving as an Associate Editor for Andrology. Loveland KL, Klein B, Pueschl D, Indumathy S, Bergmann M, Loveland BE, Hedger MP, Schuppe HC (2017) Cytokines in male fertility and reproductive pathologies: immunoregulation and beyond. Front Endocrinol (Lausanne) 8:307. Loveland KL, Hedger MP (2015) Activins and inhibins in Sertoli cell biology: Implications for testis development and function. In Sertoli Cell Biology. Griswold M ed. Elsevier Science (USA). pp 201-221. Loveland K, Major A, Butler R, Young J, Jans DA, Miyamoto Y (2015) Putting things in place for fertilization: Discovering roles for importin proteins in cell fate and spermatogenesis. Asian Journal of Andrology 17(4):537-544. De Kretser DM, O’Bryan MK, Loveland KL (2015) Spermatogenesis. In: eds Jameson/DeGroot: Endocrinology: Adult & Pediatric, 7/E. Elsevier. McIver SC, Roman SD, Nixon B, Loveland KL, McLaughlin EA (2013) The rise of testicular germ cell tumours: the search for causes, risk factors and novel therapeutic targets. F1000 Research 2:55. Itman C, Loveland KL (2013) Smads and cell fate: distinct roles in specification, development and tumourigenesis in the testis. IUBMB Life 65(2):85-97. Barakat B, Itman C, Mendis S, Loveland KL (2012) Activins and inhibins in mammalian testis development: new models, new insights. Invited review. Molecular and Cellular Endocrinology 359:66-77. Miyamoto Y, Boag P, Hime G, Loveland KL (2012) Regulated nucleocytoplasmic transport during gametogenesis. BBA – Gene Regulatory Mechanisms 1819:616-30. Szarek M, Bergmann M, Konrad L, Schuppe HC, Kliesch S, Hedger MP, Loveland KL (2018) Activin A target genes are differentially expressed between normal and neoplastic adult human testes: clues to gonocyte fate choice. Andrology Oct 13. doi: 10.1111/andr.12553. Miyamoto Y, Whiley PAF, Goh HY, Wong C, Higgins G, Tachibana T, McMenamin P, Mayne L, Loveland KL (2018) The Stk35 locus contributes to normal gametogenesis and encodes a IncRNA responsive to oxidative stress. Biol Open Jul 3 pii:bio 032631. doi: 10.1242/bio.032631 (Epub ahead of print). Micati DJ, Hime GR, McLaughlin EA, Abud HE, Loveland KL (2018) Differential expression profiles of conserved Snail transcription factors in the mouse testis. Andrology 6(2):362-373. Major AT, Miyanoto Y, Jans DA, Loveland KL (2017) Development of a pipeline for automated, high-throughput analysis of paraspeckle proteins reveals specific roles for importin α proteins. Sci Rep 7, Article number: 43323. doi: 10.1038/srep43323. Klein B, Schuppe HC, Bergmann M, Hedger MP, Loveland BE, Loveland KL (2017) An in vitro model demonstrates the potential of neoplastic human germ cells to influence the tumour microenvironment. Andrology 5(4):763-770. Itman C, Bielanowicz A, Goh H, Lee Q, Fulcher AJ, Moody SC, Doery JCG, Martin J, Eyre S, Hedger MP, Loveland KL (2015) Murine inhibin alpha subunit haploinsufficiency causes transient abnormalities in prepubertal testis development followed by adult testicular decline. Endocrinology 156(6):2254-2268. Major AT, Hogarth CA, Miyamoto Y, Sarraj MA, Smith CL, Koopman P, Kurihara Y, Jans DA, Loveland KL (2015) Specific interaction with the nuclear transporter importin alpha 2 can modulate paraspeckle protein 1 delivery to nuclear paraspeckles. Biol Cell 26:1543-1558. Arjomand A, Baker MA, Li C, Buckle AM, Jans DA, *Loveland KL, *Miyamoto Y. (2014) The α-importome of mammalian germ cell maturation provides novel insights for importin biology. FASEB J 28(8):3480-93. * Equal contributors. ^Primary supervisor of first author. Jørgensen A, Young J, Nielsen JE, Joensen UN, Toft BG, *Rajpert-De Meyts E, *Loveland KL (2014). Hanging drop cultures of human testis and testis cancer samples used to investigate activin treatment effects in a preserved niche. * Equal contributors. Br J Cancer 110(10):2604-2014. Sahin Z, Szezepny A, McLaughlin EA, Meistrich ML, Zhou W, Unstunel I, Loveland, KL (2014) Dynamic Hedgehog signalling pathway activity in germline stem cells. Andrology 2(2):267-274. Kerr G, Young, J, Horvay K, Abud H, Loveland KL (2014) Intrinsic regulation of Wnt/beta-catenin signaling is required for adult spermatogenesis. Biology of Reproduction. 90(1):3. doi: 10.1095/biolreprod.112.105809. Moody S, Goh H, Loveland KL, Itman, C. (2013) Prepubertal mouse testis growth and maturation and androgen production are acutely sensitive to di-n-butyl phthalate. Endocrinology 154(9):3460-3475. Young JC, Ly-Hyunh J, Lescesen H, Miyamoto Y, Browne C, Yoneda Y, Koopman P, Loveland KL*, Jans DA* (2013) The nuclear import factor importin a4 can protect against oxidative stress. Biochim Biophys Acta – Molecular Cell Research 1833(10):2348-2356. * equal contributors. Tarulli GA, Stanton PG, LovelandKL, Rajpert-De Meyts E, McLachlan RI, Meachem SJ (2013) A survey of Sertoli cell differentiation in men after gonadotropin suppression and in testicular cancer. Spermatogenesis 3:1-7.